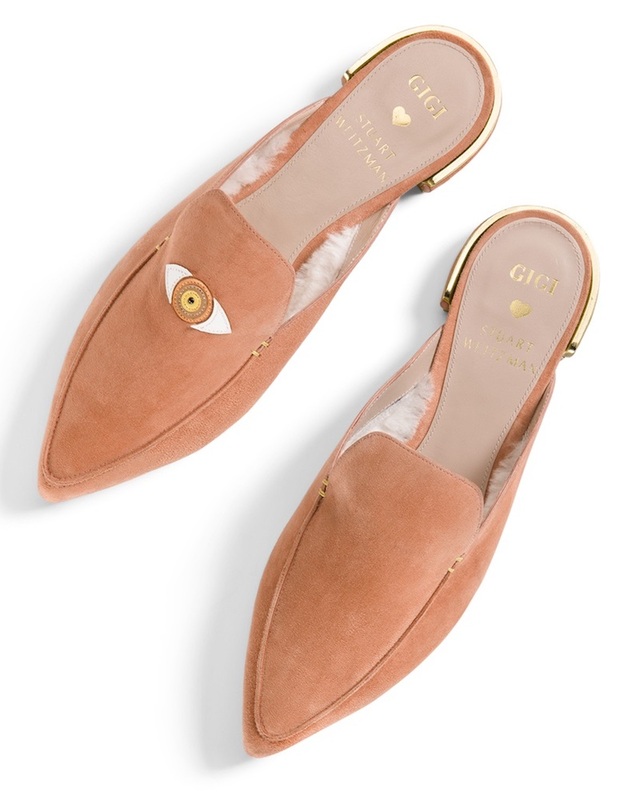 Stuart Weitzman and Gigi Hadid teamed up to create two limited-edition mules, the EYELOVE and the EYELOVEMORE, these suede pointed-toe flats that incorporate the mystical symbol the “evil eye”. The toe boxes are lined with shearling to keep you warm through the colder months, but easily transition back into spring. 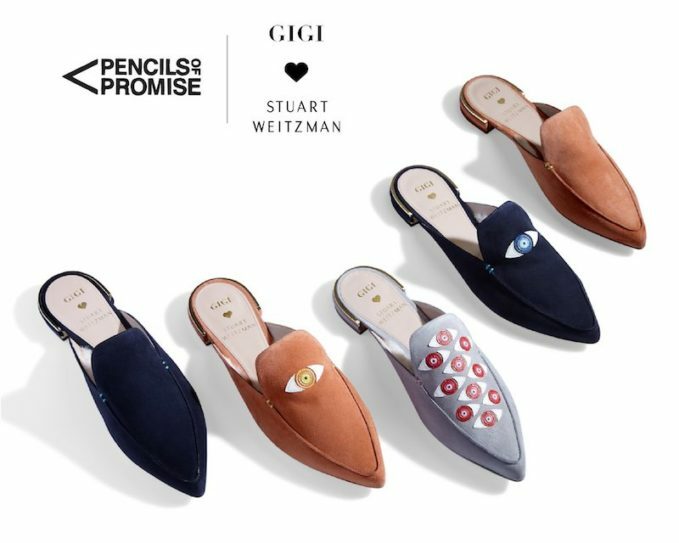 The collaboration celebrates the label’s ongoing partnership with Pencils of Promise, a nonprofit organization founded on the belief that every child should have access to quality education. 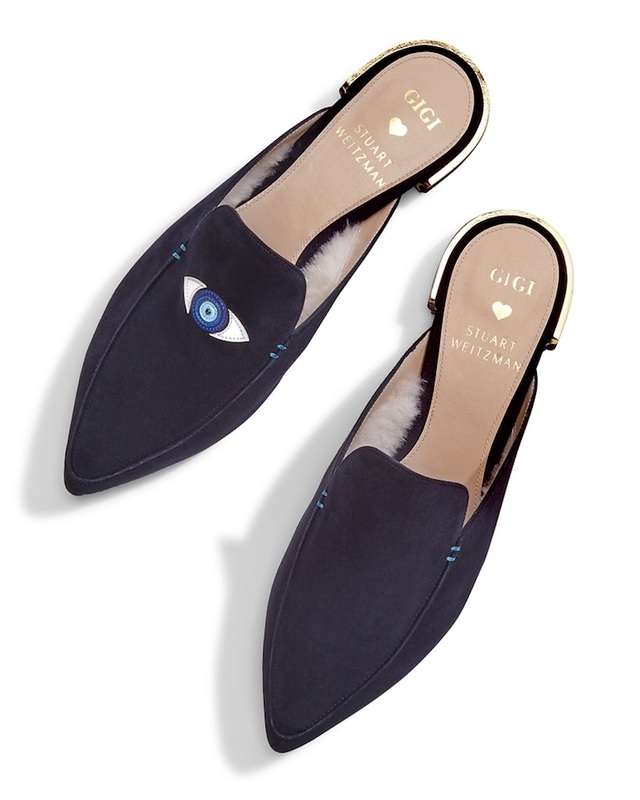 “The evil eye is a powerful symbol meant to protect those who wear it from negative energies. It’s emotionally comforting and beautiful and captivating to look at.” — Gigi Hadid. 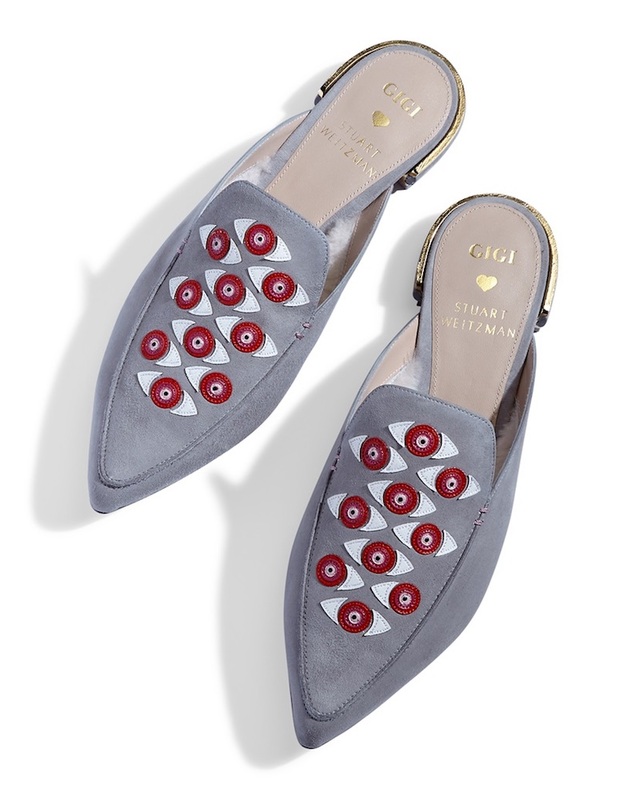 Shop Stuart Weitzman x Gigi Hadid Mules at Stuart Weitzman | MODA OPERANDI.